Dr Claire Marsh has a PhD in action research as a strategy for organizational change in the NHS. 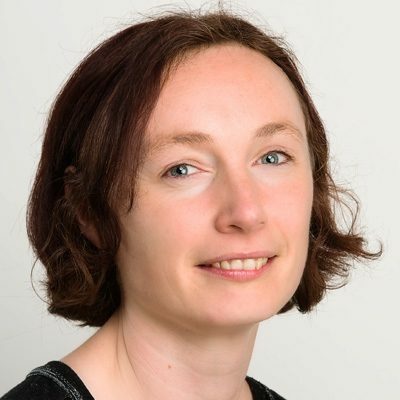 She has a dual role within Bradford Institute for Health Research – working as Patient and Public Engagement Lead for the Yorkshire and Humber Improvement Academy, and Senior Research Fellow on YQSR Group projects related to patient involvement in safety and patient experience. Claire recently co-led an NIHR-funded action research project in ‘use and usefulness of patient experience feedback’, and from this developed the Yorkshire Patient Experience Toolkit. Claire is now developing a coaches’ network to support Trusts to work with this Toolkit in Yorkshire and Humber. Sheard L, Marsh C, O’Hara J, Armitage G, Wright J, Lawton R. The Patient Feedback Response Framework – Understanding why UK hospital staff find it difficult to make improvements based on patient feedback: A qualitative study. Social science & medicine (1982). 2017 Apr;178:19-27. PubMed PMID: 28189820. Pubmed Central PMCID: PMC5360173. Epub 2017/02/13. eng. Sheard L, Marsh C, O’Hara J, Armitage G, Wright J, Lawton R. Exploring how ward staff engage with the implementation of a patient safety intervention: a UK-based qualitative process evaluation. BMJ open. 2017;7(7):e014558. O’Hara JK, Reynolds C, Moore S, Armitage G, Sheard L, Marsh C, et al. What can patients tell us about the quality and safety of hospital care? Findings from a UK multicentre survey study. BMJ quality & safety. 2018 Mar 15. PubMed PMID: 29545325. Epub 2018/03/17. eng. Tudor, T.L., C.L. Marsh (Nee Noonan), S. Butler, J.A. Van Horn, L.E.T. Jenkin. (2008). Realising resource efficiency in the management of healthcare waste from the Cornwall National Health Service (NHS) in the UK. Waste Management. 28, pp. 1209-1218. Tudor , T.L., C. L. Noonan, L. E. T. Jenkin. (2004). Healthcare waste management: a case study from the National Health Service in Cornwall, UK. Waste Management. 25, pp. 606-615.